EVEN MORE EXPLOSIVE TOWER DEFENSE! The sequel to the critically acclaimed iPhone game geoDefense is here! #1 Game in the App Store! the APPERA: "Holy Bananas! THIS Is How You Do A Sequel... GENIUS!" panappitcon: "100/100 — Quite simply a perfect iPhone game!" 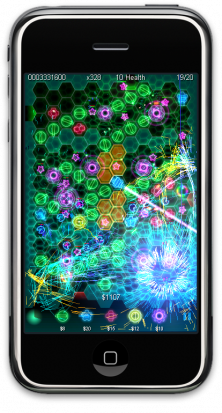 appadvice: 4 1/2 Stars "geoDefense Swarm is a stunning visual masterpiece!" ign.com: 8.2 "A must play!" See the IGN preview article!